» The Congress was founded in 1885 by Indian and British members of the Theosophical Society movement, including Scotsman Allan Octavian Hume. » Its objective was to obtain a greater share in government for educated Indians and to create a platform for civic and political dialogue between educated Indians and the British Raj. » The Congress met each December. The first meeting was scheduled to be held in Poona, but due to a cholera outbreak there it was shifted to Bombay. » Hume organised the first meeting in Bombay with the approval of the Viceroy Lord Dufferin. » Womesh Chandra Bonnerjee was the first president of the Congress. » The first session was held from 28–31 December 1885 in Mumbai, and was attended by 72 delegates. » Mahatma Gandhi presided over the Belgaum session of INC in 1924. » The first woman president of INC was Mrs Annie Besant. » The first Indian woman president of the INC was Mrs Sarojini Naidu. » The first Muslim president of the INC was Badruddin Tayabji. » The president of INC at the time of India's independence was Acharya JB Kriplani. · Presided by first Muslim president. 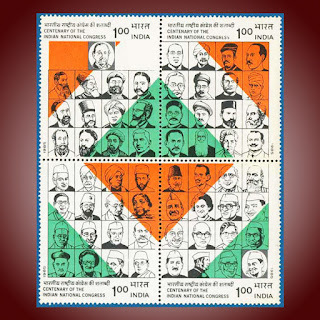 · The National Song, Vande Mataram was sung for the first time. · The INC split into two, one consisting of Moderates, led by Gokhale and the other consisting of Extremists, led by Tilak. · Joint session with Muslim league in which the historic Lucknow pact was signed. · First session to be presided by a Lady. · First session to be presided by an Indian lady. · The decision to launch a civil disobedience movement to achieve complete independence and to observe 26 Jan as Independence Day was taken. · Nehru became the president for the first time. · Gandhi was nominated to represent Congress in the Second Round Table Conference. · S.C.Bose was re-elected but had to resign due to protest by Gandhiji (as Gandhiji supported Dr.Pattabhi Sitaramayya). Rajendra Prasadwas appointed in his place. · Last pre-independence session of the INC.
· First session after Independence. What is the Indian National Congress? Who initiated the movement to form the Indian National Congress? Who was the first woman president of Congress?